summer workshop in Soomaa forests, Estonia, studying the unique context of the area, where the landscape is severely altered by flooding rivers at least once a year. 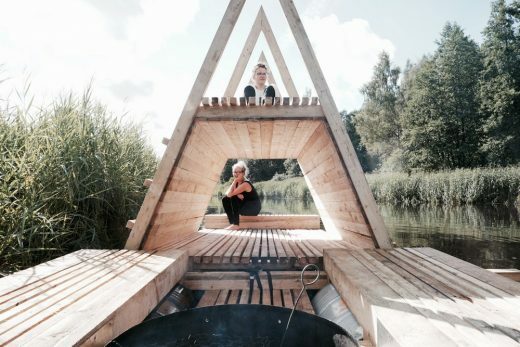 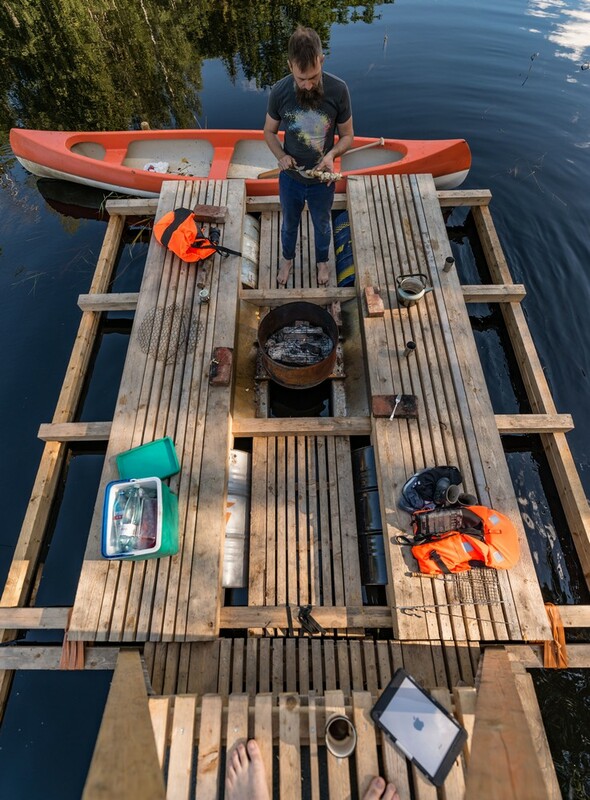 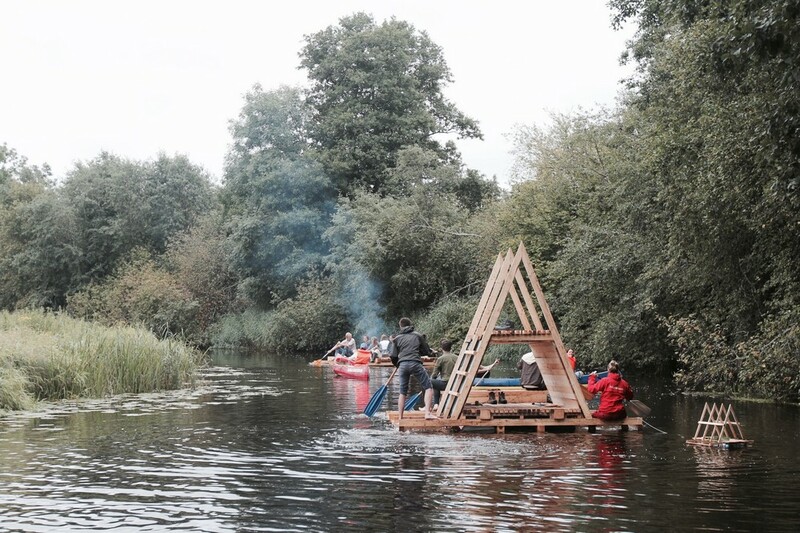 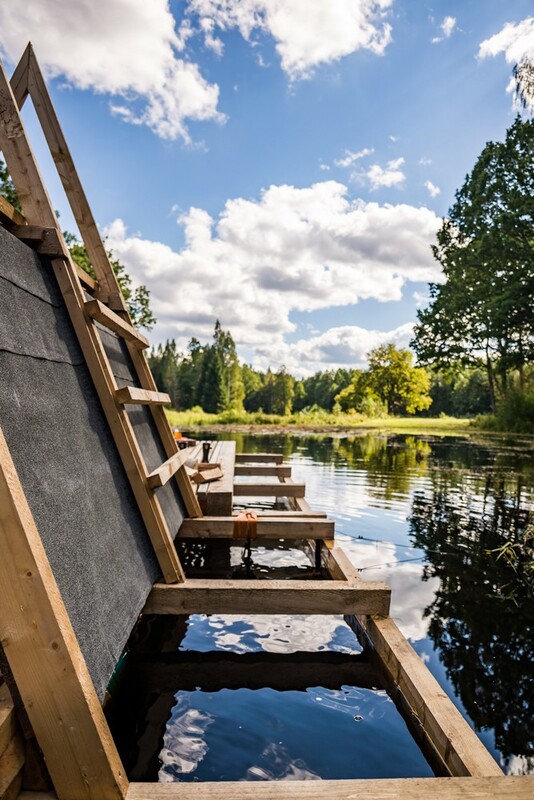 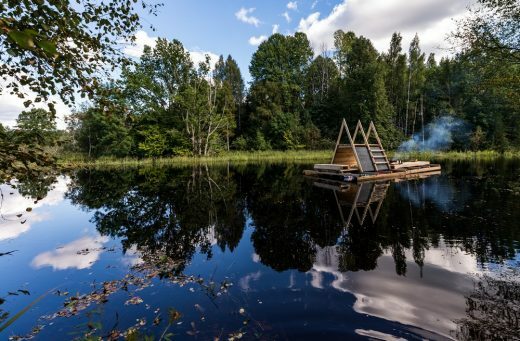 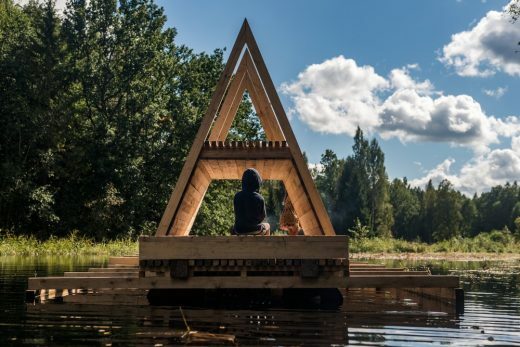 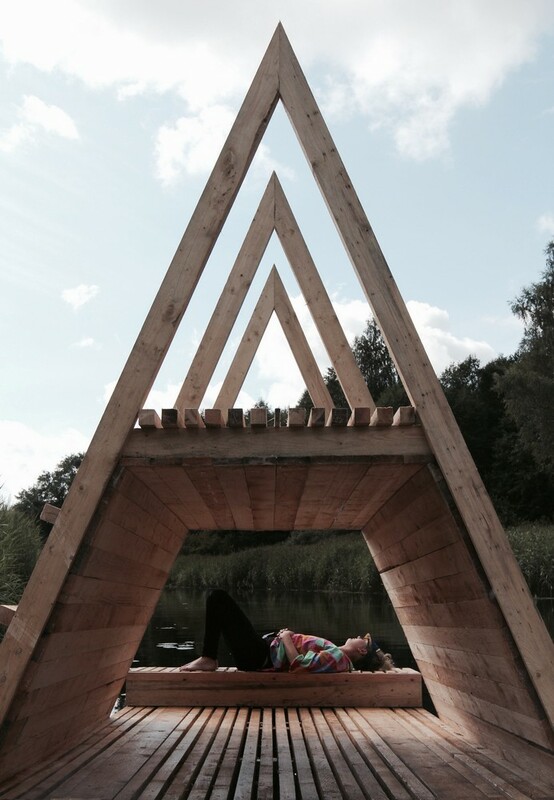 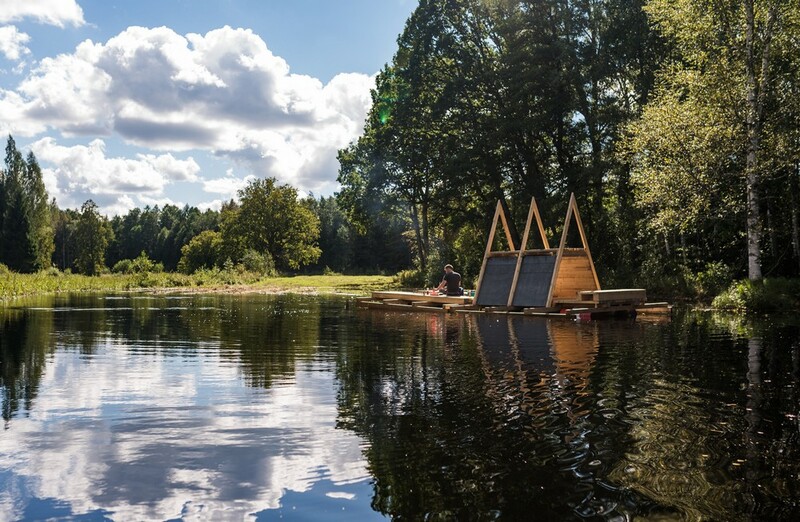 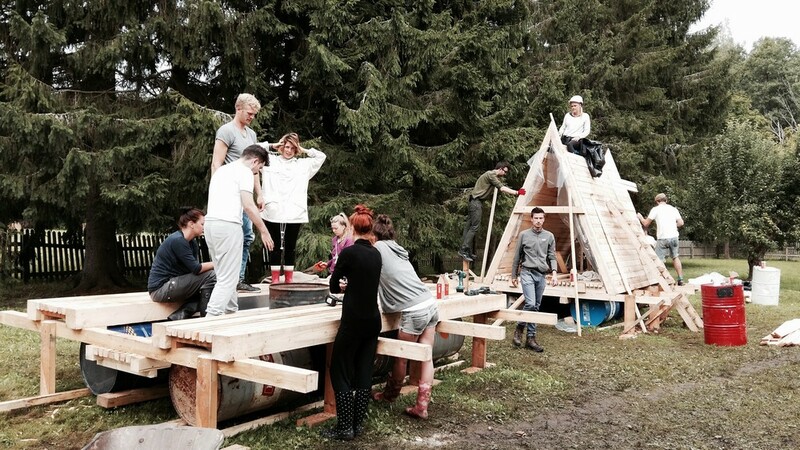 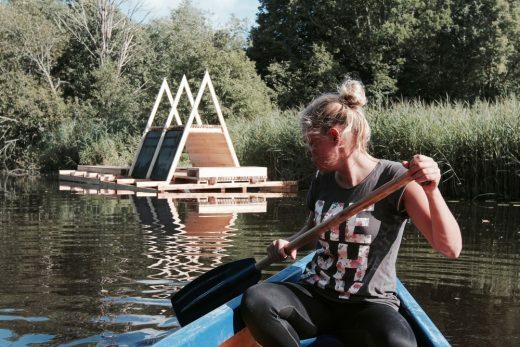 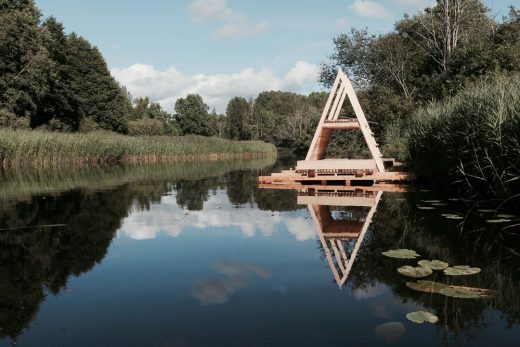 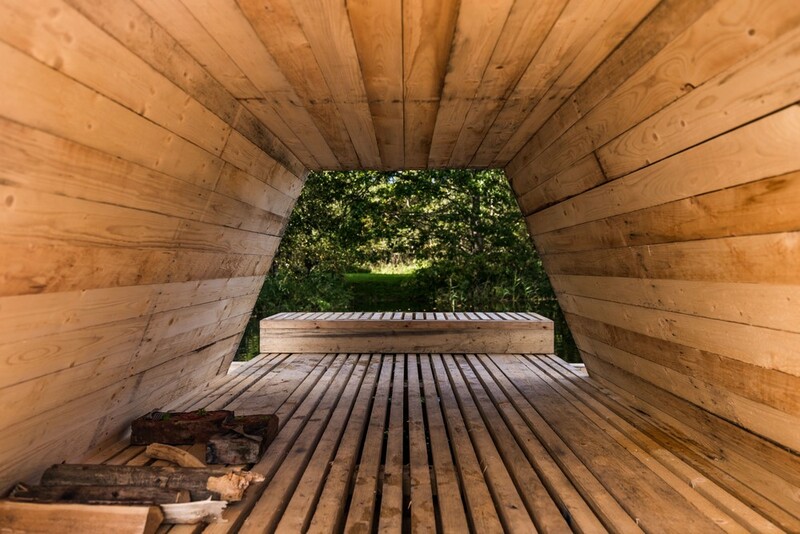 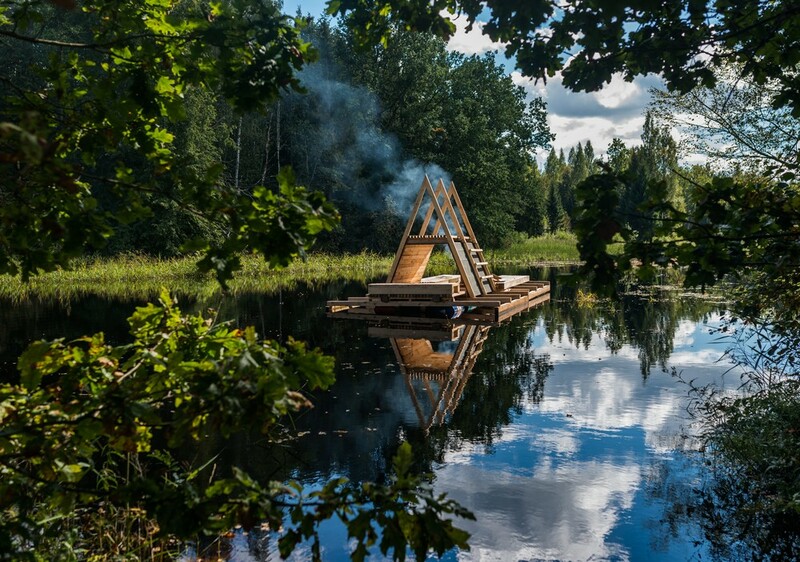 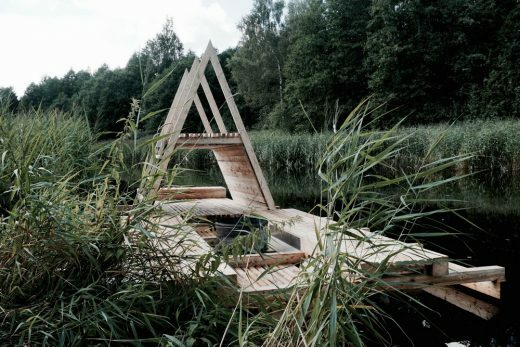 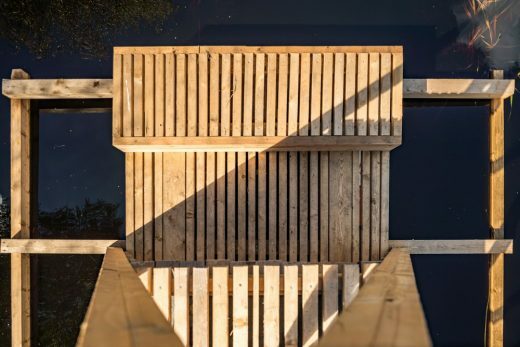 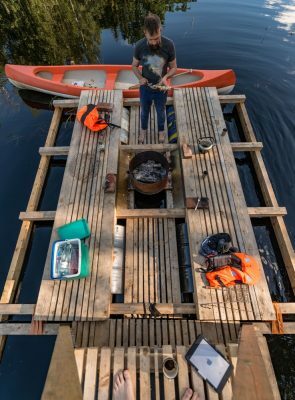 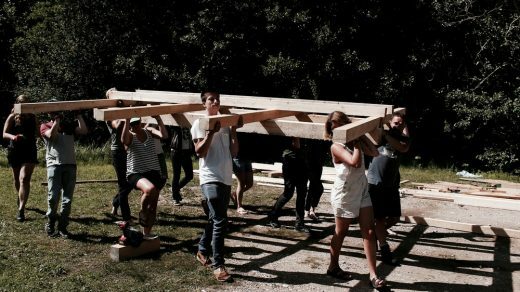 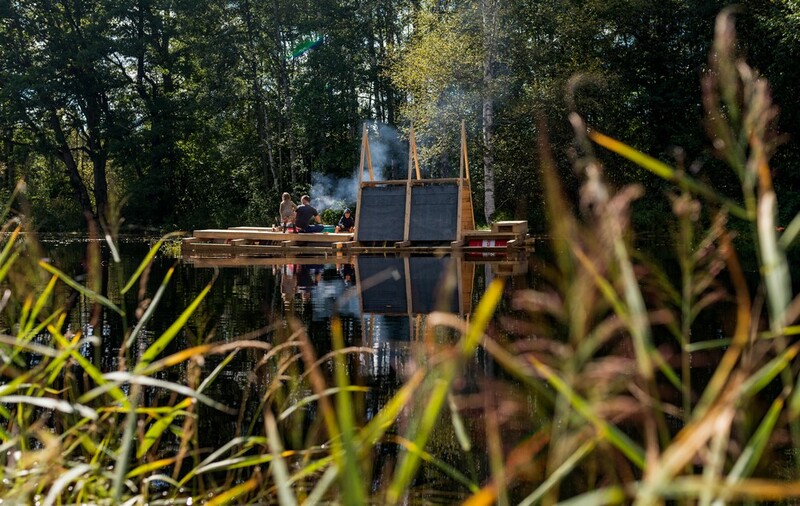 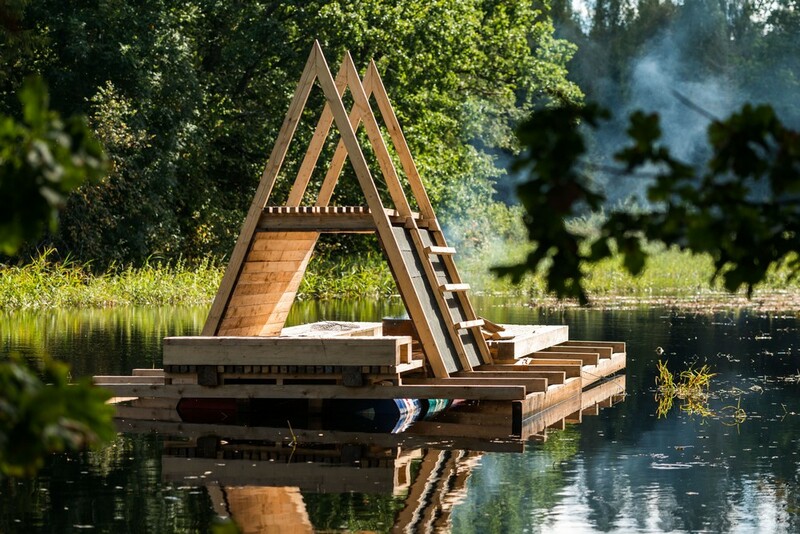 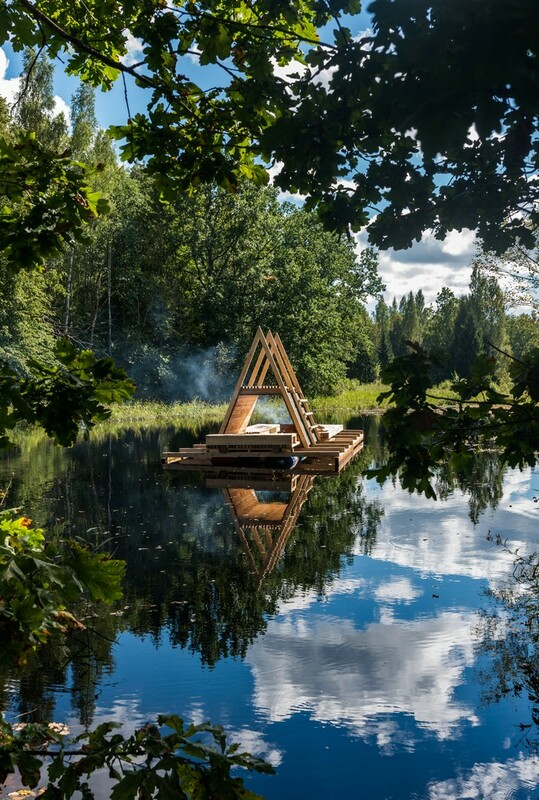 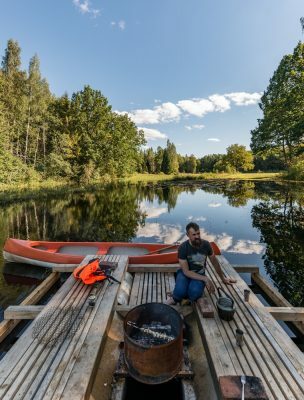 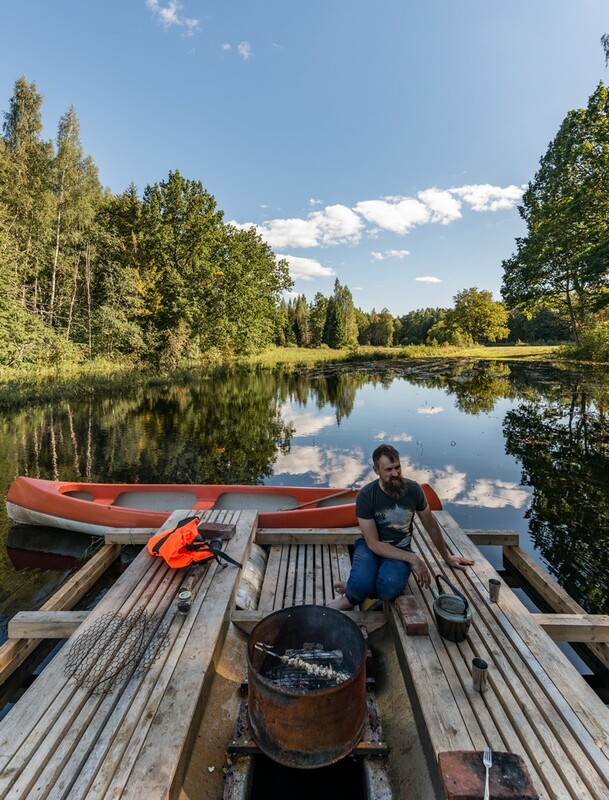 Tutored by architect and artist Sami Rintala (Finland), architect Pavle Stamenovic (Serbia) and Estonian architecture office b210, students built three floating structures: a shelter, a fireplace and a sauna as a response to the changing and challenging environment of the area. 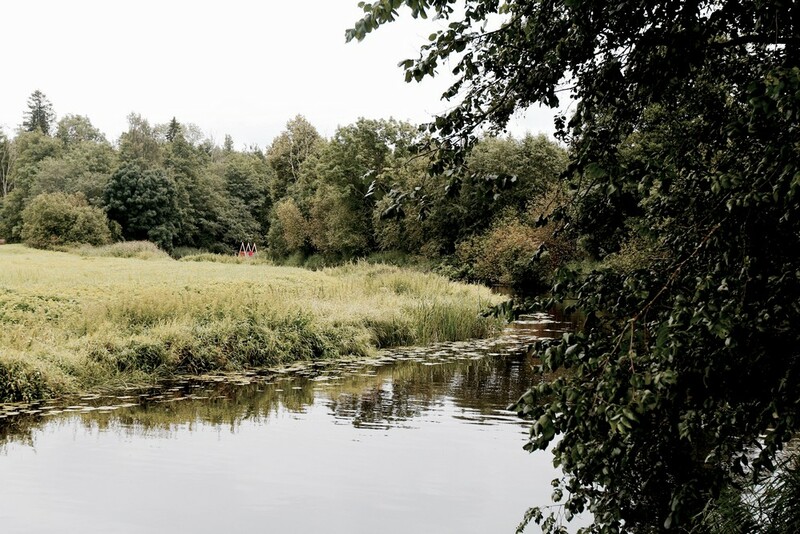 Two of the three objects have now been opened to the public as part of local forest infrastructure, testing how experimental forest infrastructure could provide for the needs of people living in the area or visiting it. 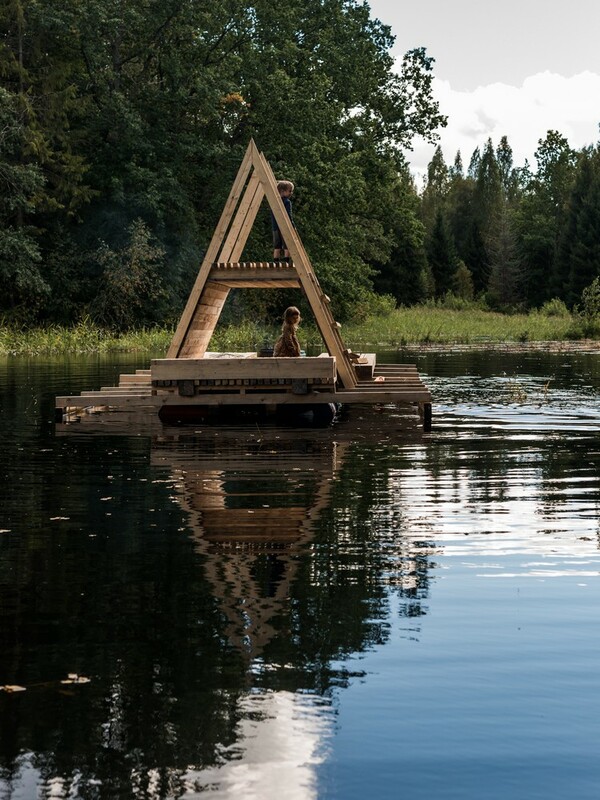 However, one of the structures the sauna did not persist the testing, and sunk to the watery depths. 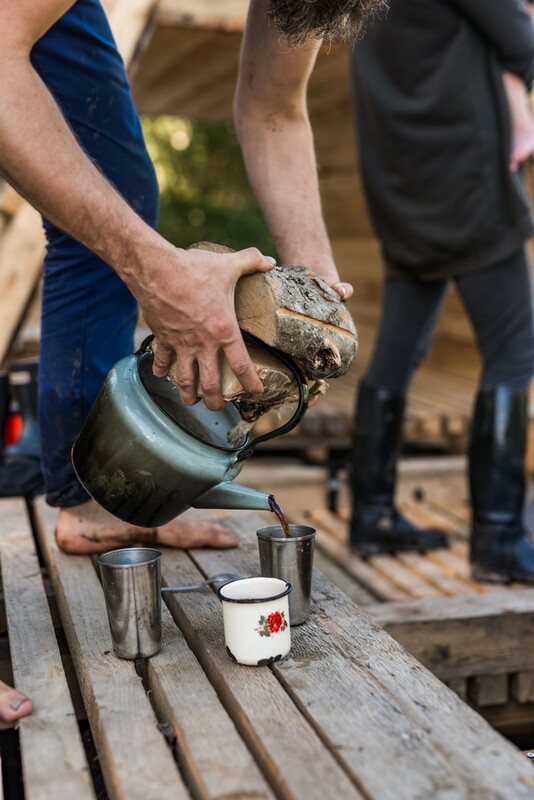 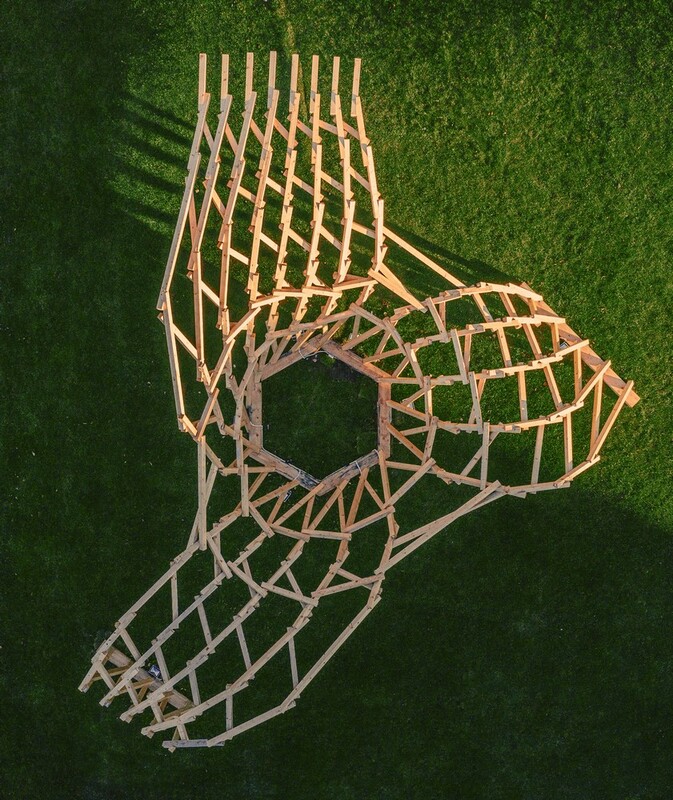 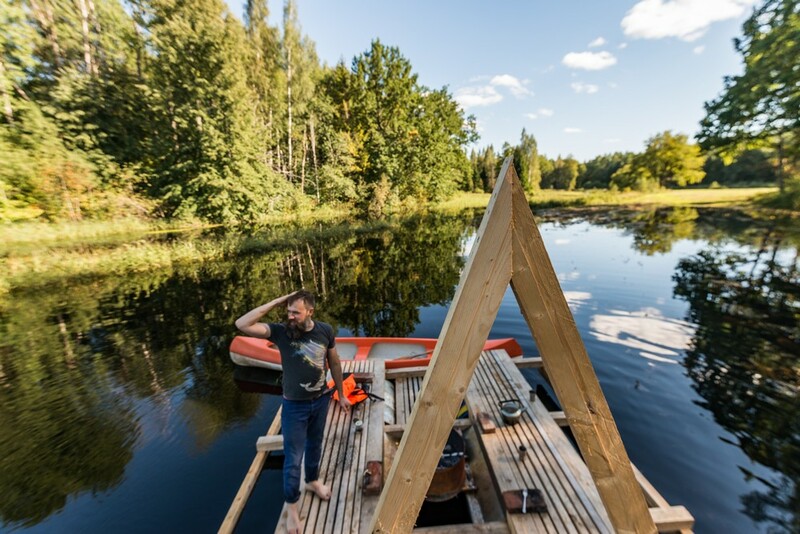 The wooden installation will be a part of larger network of forest infrastructure organized by the State Forest Management Centre of Estonia, similar to the forest megaphones Ruup , built by students last year. 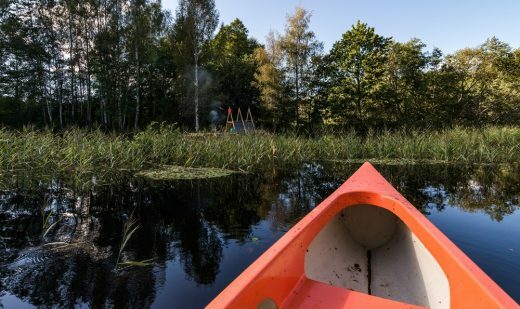 Soomaa is a mixture of boglands and meandering rivers that flood over seasonally, mostly in spring, when the water raises several meters higher for weeks. The water flows over floodplain grasslands and forests and covers fields, forests and roads, disrupting connection with the rest of the world. 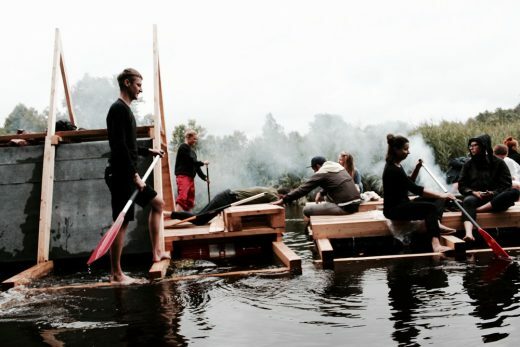 Locals and visitors use boats to navigate the altered territory, but the students took up the challenge to see what types of floating space they could create, responding to the needs of people in the area.